This Easy Breakfast Casserole made with sausage, cheese, eggs and Texas Toast comes together quickly. 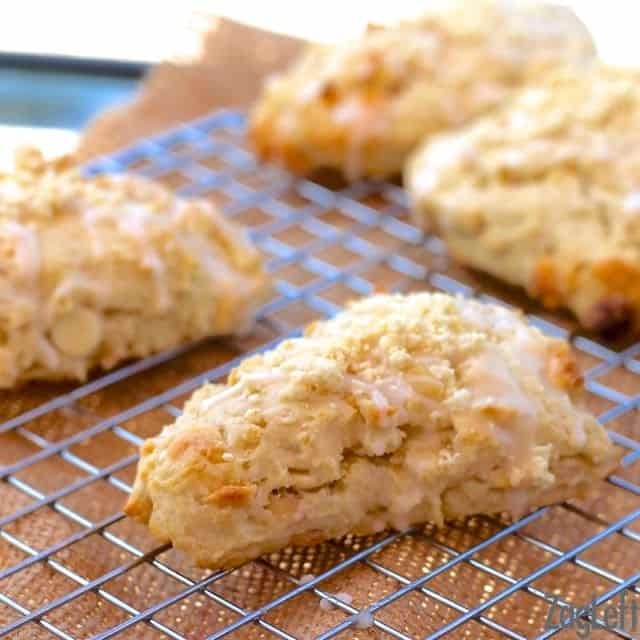 Refrigerate overnight and bake it the next morning for an easy, hassle free breakfast. It’s our holiday tradition! In our house, Christmas morning calls for a special breakfast and today I’m sharing with you a recipe for an easy Breakfast Casserole that I make for every special occasion, including Christmas. I stumbled upon this recipe years ago from Emeril Lagasse and love it. I vary the recipe a little bit but the essential ingredients I keep the same. One of the things I love most about this breakfast casserole is that it’s so easy to make. I make it up the night before and put in in the fridge. On Christmas morning as we wake up and I settle in with my cup of coffee, I preheat the oven. As we begin to open presents, I quickly pop the casserole into the oven and it’s ready in 35 minutes. The recipe calls for using Texas Toast which I find the the freezer section of the grocery store. Texas Toast is a toast that is double the thickness of regular bread. It’s buttered on both sides and I use the one that has a garlic spread added to it. If you can’t find Texas Toast, I’ve also used cubed sourdough bread or french bread. Use what you like, trust me that it will still be delicious! The ingredient list is small and the method easy. Just line your baking dish with the Texas Toast, sprinkle the bread with cooked sausage and shredded cheddar cheese, then pour a mixture of eggs, milk, salt and pepper over the top, cover, and refrigerate overnight. In the morning, all you have to do is place the casserole in the oven, enjoy a cup of coffee with family or friends. By the time you pour your second cup, the casserole will be ready. Emeril’s recipe calls for adding green onions, but I started making this breakfast casserole when my kids were small and they were turned off by the addition of green onions. So, I’ve left them off ever since. This recipe is a basic recipe that would do well with any other additions you’d like to make; mushrooms, various cheeses, onions, and peppers would be lovely added in. This easy to make recipe is one my family loves and looks forward to every year. 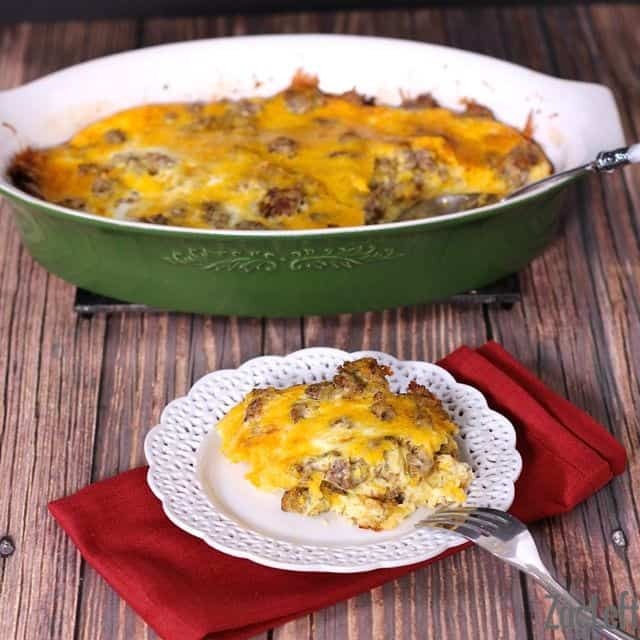 This easy Breakfast Casserole made with sausage, cheese, eggs and Texas Toast comes together quickly. Refrigerate overnight and bake it the next morning. Butter or spray with cooking oil spray a 9 x 13-inch baking dish. In a small bowl, beat the eggs. Pour in the milk, salt and pepper. Mix well and set aside. Line the baking dish with the Texas Toast, cutting and rearranging the bread in the dish so the bottom of the pan is completely covered. Sprinkle the cooked sausage over the bread and top with the cheddar cheese. Pour the egg mixture over the entire pan. Cover and refrigerate overnight. In the morning, remove the baking dish from the refrigerator. Preheat the oven to 350 degrees F.
Cook, covered for 30-35 minutes or until the egg mixture is set and the cheese has melted.